The Animation Academy is an out-of-the way spot to hide from the crowds and the heat of the day in Hollywood Studios while enjoying a special Disney experience that leaves my family smiling for days. Inside the Animation Courtyard building, next to the Voyage of the Little Mermaid, is a room full of interactive games and activities about animation and a Character Meet and Greet spot where you’ll find Pixar Characters and other newer Disney stars. My favorite find there were Mr. and Mrs. Incredible, who make for a really fun family photo! Towards the exit of the animation building is a small waiting area roped off so that crowds don’t get too large. 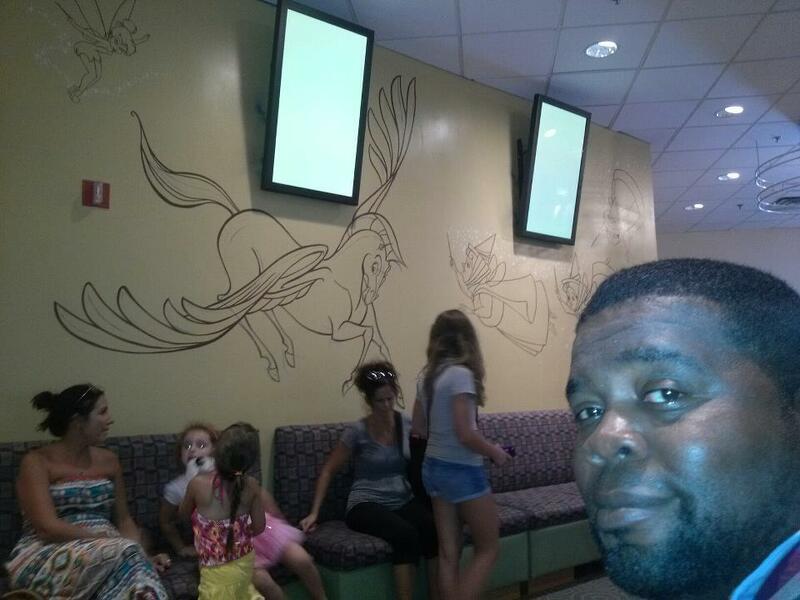 The waiting area has seating and a television “pre-show” of Disney characters being drawn asking the waiting guests to guess who the characters are as they come to life in the pencil lines. This space is very low key and easy to miss or overlook if you don’t know what people are waiting for. Also, it is a nice spot to rest and enjoy a comfortable seat in the air conditioning while you wait. When the doors open, you will enter a small theatre with rows of desk tables and stools. The space is limited and they only let in as many guests as there are seats with a few additional lap-desks that a extra guests can use from the sidelines if the crowd is large. The lap-desks aren’t as comfortable to use as the large desks, but there is no reason to miss-out on the experience if you don’t get a large desk. 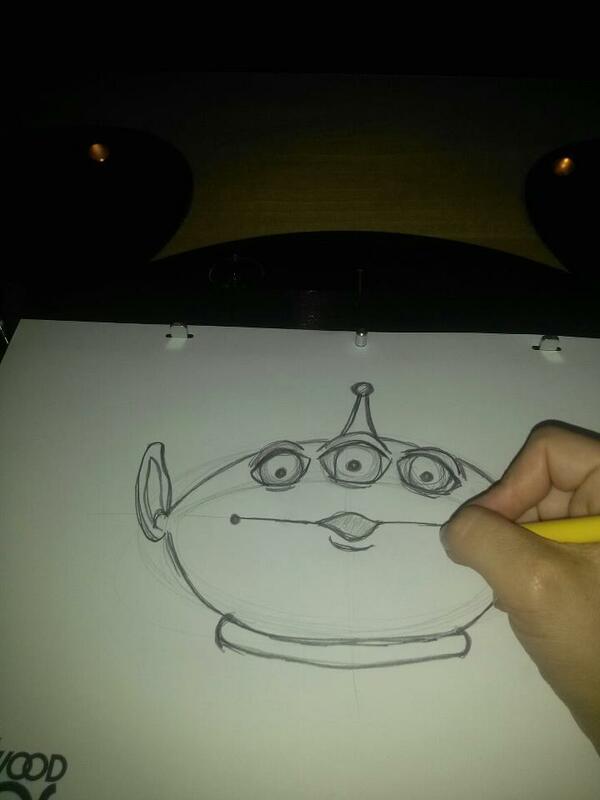 You can draw just as well on the lap-board desk. 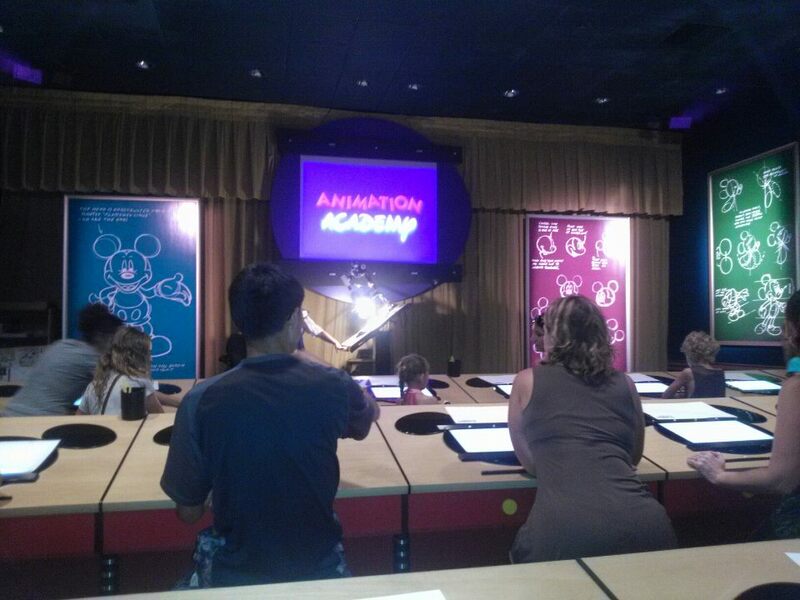 When the theatre is full, a Disney Animator enters the front stage area to teach a drawing class. 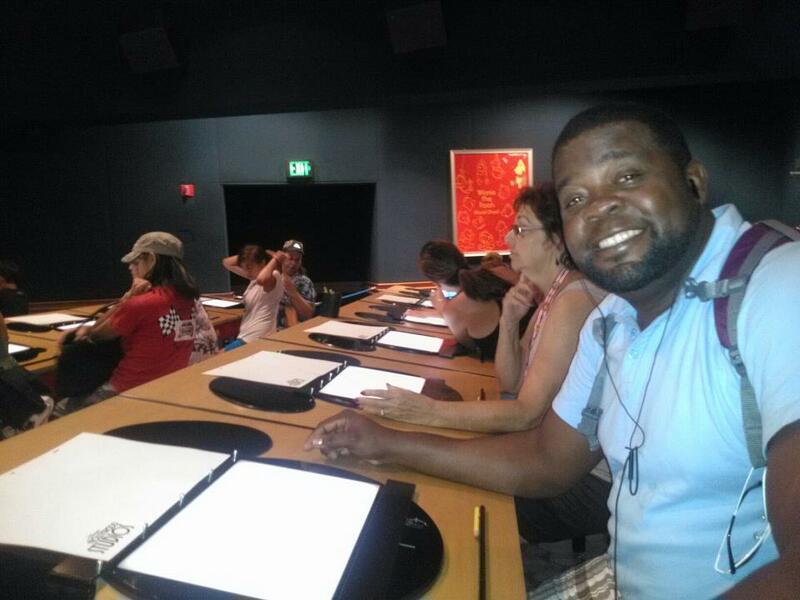 With some verbal instruction and a large projector screen that projects what he or she is drawing for the whole theatre to see, you get to follow along on your own with the paper and pencils provided to create a sketch of a famous character. You start with simple shapes like a circle and a few lines and add step-by-step while following the Animator until suddenly you will have a full Disney character. It will amaze you! 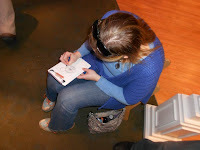 I have been countless times and I am still in awe as the lines and circles transform on my page. 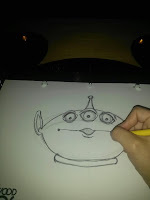 Unfortunately, unless you have great talent, your replica will not be as well done as the animators, but you will certainly be able to identify your drawing when you are done. 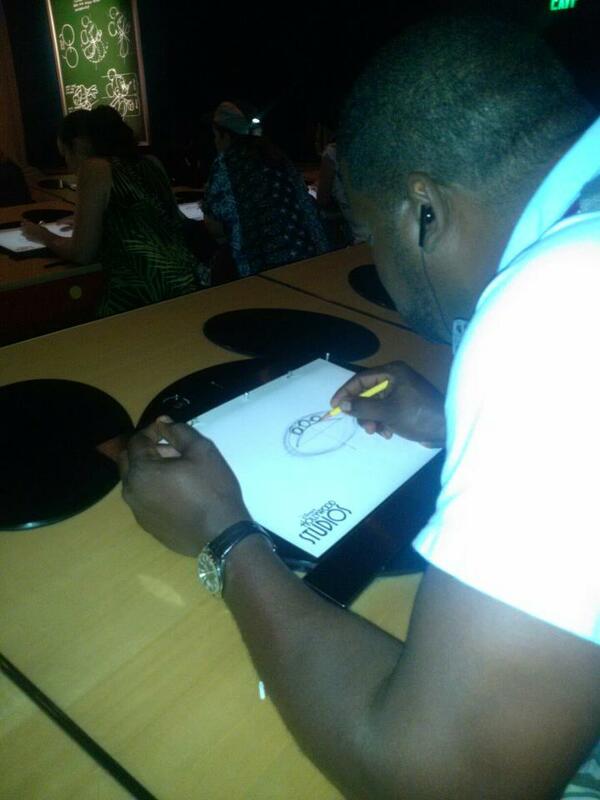 My family and I have fun comparing our “works of art” and critiquing what we have created. Important Note: You do not get to choose what character you draw. The classes change characters all the time, which means there is a good chance that you will get a different character or a different position of a character each time, but this is not guaranteed. 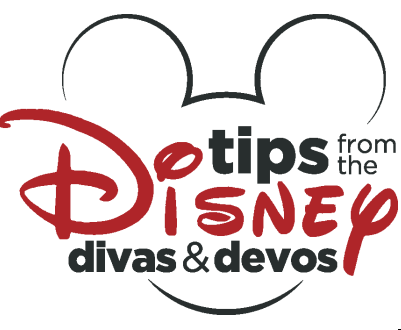 I have heard some guests try to find out ahead of time which character will be taught by asking the cast members working the waiting area, but in my experience, they don’t know or they won’t say. In my opinion, any character would be fun to draw in the class, so there is no reason to skip a session just because your favorite character is not the lesson. 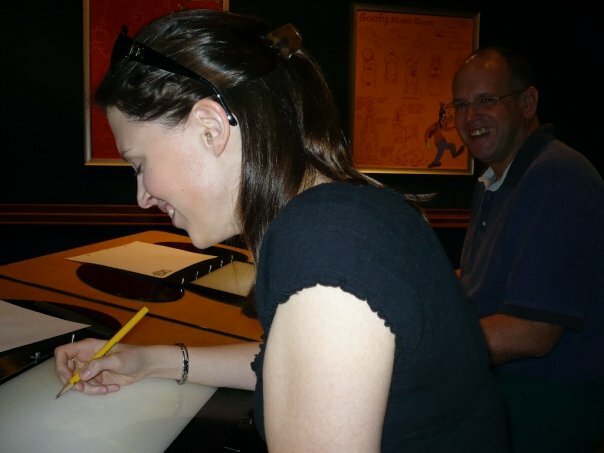 I have only ever experienced The Animation Academy as an adult and with a group of adults (all 25 and over.) We always love it! It seems to be great for kids and families as well from all the groups I have seen enjoying it. 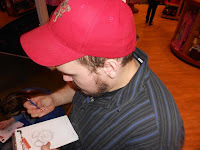 Very small kids who can’t draw well may be bored or frustrated, but for any little boy or girl who loves to doodle, drawing just like a real cartoon animator would be an amazing experience. And parents and other adults, please join in! This is not a kid-only experience. 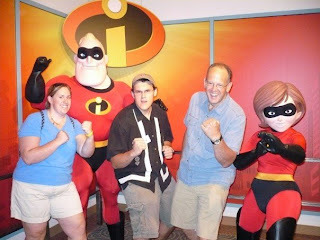 My family and I find ourselves sneaking back time and time again when we find a free moment or we have some time to waste in Hollywood Studios. As a side note, I was so thrilled to discover that the Times Square Disney Store in New York City has now added a similar attraction. On the store’s less crowded second floor there is a small seating area with a television that plays a drawing class every few minutes. 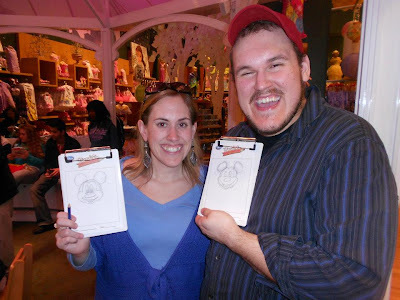 They hand out clip boards, pencils, and paper along with a cardboard “frame” for your work to go in when you are done. This mini-version is also a great place to escape the city crowd for a bit, get off your feet, and enjoy some Disney Magic. Hola! I'm Diva Viva, the bi-lingual Diva from the Boston area. My husband is from Dominican Republic and we speak fluent Spanish at home. I have always loved Disney and I get to WDW as often as I can! Now, I'm starting to introduce the Disney Magic to my husband and my step-daughter.